Home :: We did it — thank you! We did it — thank you! 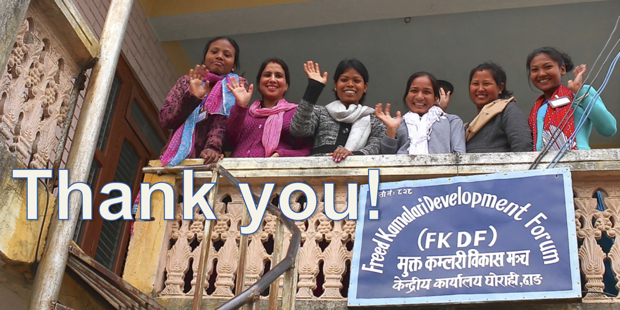 With your help, we raised over $20,000 for the Freedom Loan Fund Campaign. It’s already a huge success. 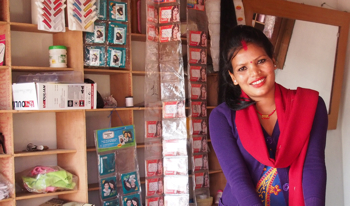 The freed Kamlaris have formed 37 business co-ops with over 2,600 members. And they’ve already reinvested $40,000 back into their co-op loan fund. 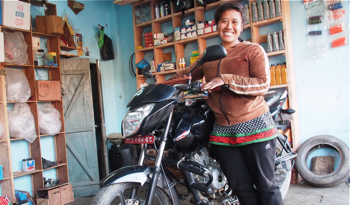 But the loan fund hasn’t been able to keep up with all of the former Kamlaris who want to start a business, and there are hundreds of eager young women on the co-op loan waiting list. Thanks to supporters like you, we raised over $20,000 during the month of June for the Freedom Loan Fund Campaign. This means that more than 70 former child slaves in Nepal will have the opportunity to start a business and make a new life. It’s not too late to make a difference. Join the Freedom Loan Fund Campaign today and be a part of this amazing transformation!